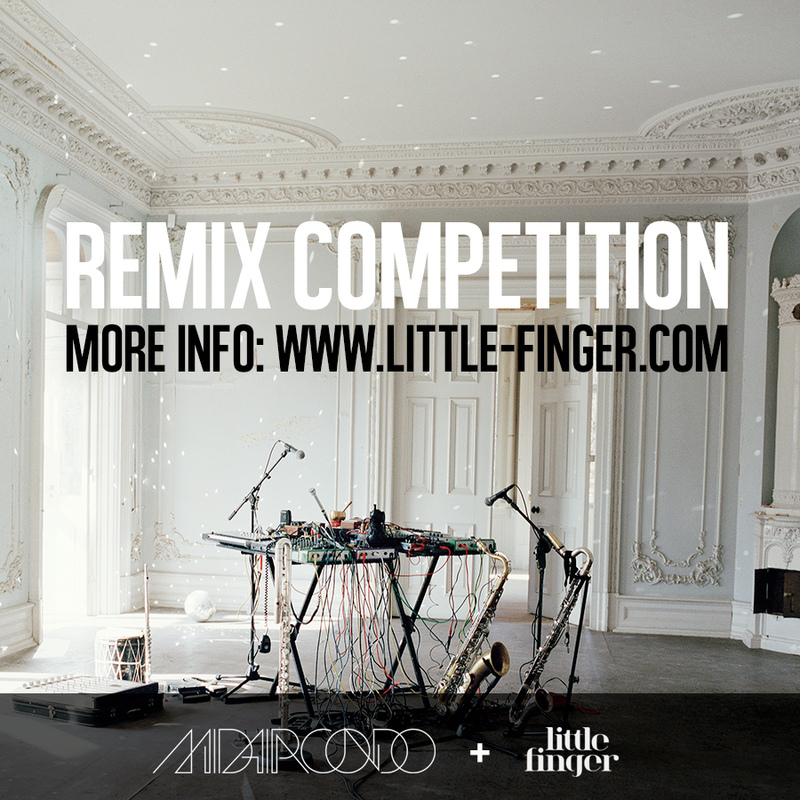 We’re really excited to announce that we have set up a remix competition in collaboration with the Malmö based magazine Little Finger. The track we have selected is Silk, Silver & Stone from Curtain Call. This is probably the most straightforward track we’ve ever released and it also features the magical Ebbot Lundberg (ex The Soundtrack Of Our Lives) on vocals. So take this opportunity and make us sound like we’ve never sounded before! The selected remixes will be featured on a free digital compilation, released by Little Finger and Midaircondo. Winners also get one year full subscription of Little Finger Magazine. Read more about the competition and download the files here. Deadline for the competition is January 30th 2014! Tuesday November 5th we will be performing at TEDxGöteborg that takes place at Draken Theatre on Olof Palmes plats 3 in Gothenburg. You can find more information about TEDxGöteborg right here. We are currently mixing our next album with Danish mix engineer, producer and composer August Wanngren at the We Know Music Studios in Copenhagen. The as of yet untitled album, set for a 2014 release, was recorded in front of a live audience at Svenska Grammofonstudion in Gothenburg on September 1st and 9th 2013. At the moment we’re in the process of trying to figure out what it is exactly we have done, but we will of course keep you posted on what’s happening with this album over the coming months. Midaircondo is celebrating ten-year anniversary with two exclusive shows in November. Friday November 22nd we are visiting Victoriateatern in Malmö, and the day after, Saturday November 23rd we’re playing at Nefertiti Jazz Club in Gothenburg. For these two occasions we have invited Danish drummer and percussionist Michala Østergaard-Nielsen, whom we also made the album Reports On The Horizon with in 2011, and American bass virtuoso Julie Slick. Julie is nothing short of a bass phenomenon and are currently also playing with the Adrian Belew Power Trio. Belew is perhaps more commonly known as the guitar player from prog-rock outfit King Crimson, but he’s also played with the likes of David Bowie, Frank Zappa and Talking Heads to name just a few. 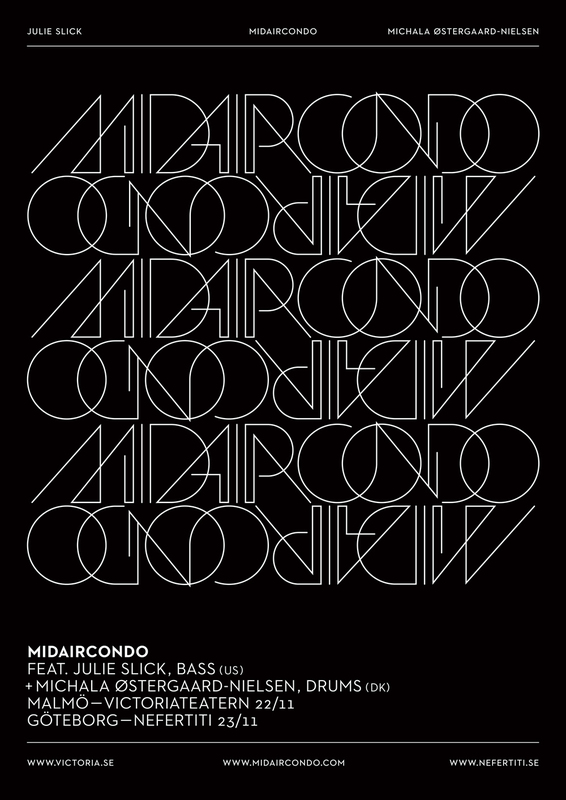 Midaircondo is now officially on Facebook. For additional information on what’s going on in the Midaircondo universe, please stop by our Facebook page and “Like” us. There we will be posting frequently about upcoming events and other things concerning Midaircondo. Have a look right here. On the Midaircondo Soundcloud page we will, in addition to the regular tracks from the albums, be presenting live performances and other assorted goodies not available anywhere else. We now have our own Midaircondo YouTube channel where we will be posting our videos and various selected live performances. In keeping with whole digital age, we now have our own Midaircondo Instagram account. Wanna see what we’re up to on a daily basis, please follow us on @midaircondo_official.